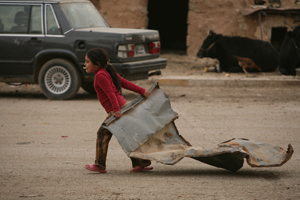 Children who live in urban or rural zones often find themselves in a precarious situation. Due to extreme poverty, they can hardly satisfy fundamental needs such as nutrition, access to healthcare, education, and are often exposed to danger. Car accidents and violence are also a part of their everyday lives. A universally accepted definition does not exist with regard to what is considered ‘urban’ and what is considered a part of the ‘city.’ This gap complicates the comparative statistics on the subject. 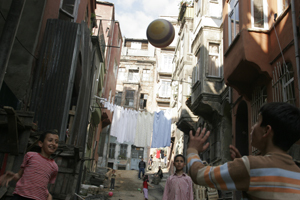 According to UNICEF the definition of an “urban zone” differs from one country to another and is constantly revised. An urban zone is characterized by one or more of the following components: administrative criterion or political frontiers, population density, economic function and the presence of specific urban features (roads, pavement, electric lighting, and sewage systems). Rural zones include the entire population, territory and other resources of the countryside – in other words, the areas located outside of the large, urbanized centers. 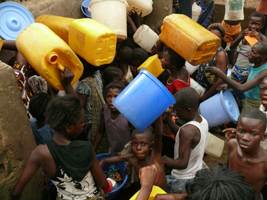 Malnutrition is a common pathological condition in both rural and urban areas. Its short- and long-term effects (such as late mental development, greater exposure to infectious diseases, and risk of chronic illness in adulthood) are extensive. In countries with weak revenue, malnutrition often results from poverty, frequently associated with the weak economic status of the family, the environment, difficult housing conditions, and insufficient access to food, clean water, news, and medical assistance. In certain countries, developmental restrictions are equally widespread – with many cases of malnutrition recorded in the poorest children from urban zones more so than the disadvantaged children from the rural areas. The condition of children in rural zones is unstable since health care is a privilege that is only accessible for a small affluent portion of the population. Because of this harsh lack of resources, the quality of health for impoverished children remains very low. Studies of the urban setting demonstrate elevated levels of infant mortality that are principally caused by large concentrations of poverty and insufficient services that one finds in the savage urban settlements like the slums and shanty towns. The discrepancies in child education between urban and rural areas are important. 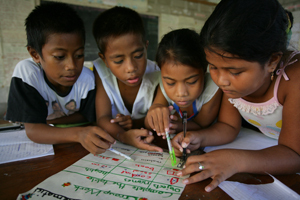 Children living in rural zones experience a serious lack of education in comparison with children in urban zones. Consequently – according to recent estimates – 25% of children that are of age to attend primary school in rural zones are not educated versus 16% of children of the same age living in urban areas. Despite efforts deployed by the states to develop the education of children at the primary and secondary levels, the rate of education still remains low especially in rural areas and for girls in particular. Research shows that children living in urban zones are much more affected by this phenomenon. A report published in 2012 from UNICEF on ‘the state of children in the world’ reveals that motorized traffic poses a physical threat to children in urban areas. This seems understandable when taking into account the lack of playgrounds and pedestrian infrastructures like sidewalks and crosswalks. Contrary to the urban conditions, the scarcity of roads and vehicles in rural areas diminishes accidents that involve children. The World Health Organization considers road accidents to be the second highest cause of deaths in children ages 5 to 14. They estimate 1.3 million child deaths occur every year across the globe due to car crashes. Urban centers experience an unprecedented growth due to a rise in births and the rural exodus. In a world that is more and more urbanized, violence has reached epidemic proportions due to various factors that come into play. This phenomenon affects more and more children notably in the ‘bidonvilles’ (shanty towns) that already shelter a billion children across the world. Employment there is rare and there are many people who resort to secretive means of survival, sometimes even means of a criminal nature. Recreational activities that are open to all such as sports (soccer), arts (dancing) could capture children’s attention in both rural and urban zones.